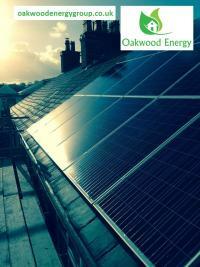 Oakwood Energy has been built around the belief the future is a renewable one, and there's no getting away from it. We are already helping home owners and businesses up and down the country to generate cleaner, cheaper energy. With the current government backed incentives Solar PV provides a great investment opportunity. We offer advice and services tailored to fit all requirements. Quotation, advice, system design, installation and commissioning come as standard to ensure a stress-free installation for the customer. Each estimate includes details of energy generation and financial return on investment prior to the start. Oakwood Energy believes in protecting our customer's investment, with this in mind we guarantee all installation with a comprehensive 10 year Parts and Labour Guarantee, insured by an Independent Warranty Insurance supplied by iwa.biz.